I was looking through my stash last weekend and was surprised and a little embarrassed to see all the polishes I have that I really wanted, but never actually wore on my nails. I decided I'd change that, picked them all out of my helmers and set them aside to be worn in the next few months. 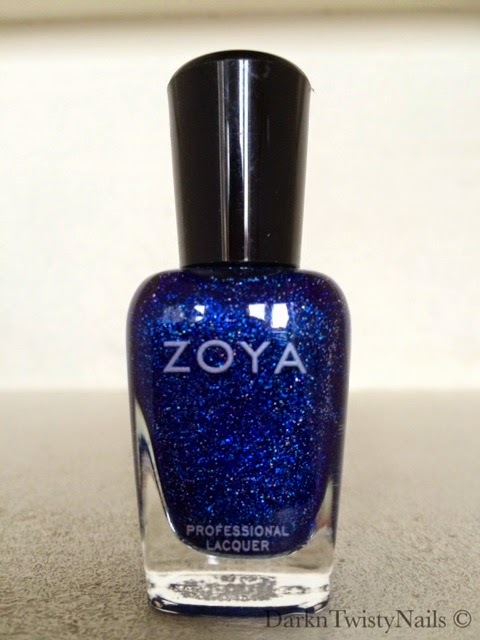 Today's polish is one of those polishes and it has to be the one I wanted the most, but couldn't get my hands on, until my friend Holly send it to me. 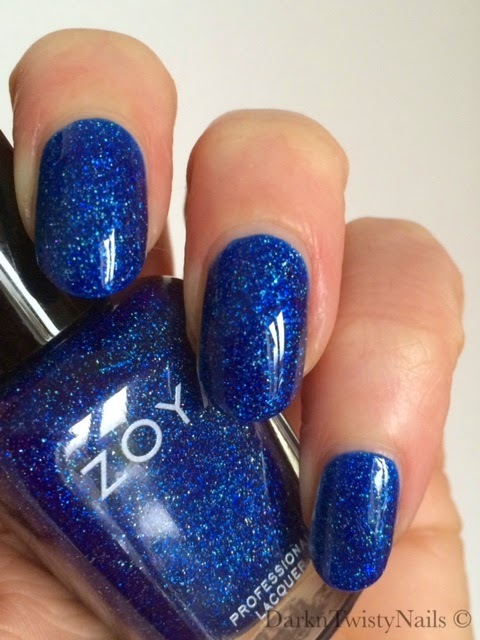 Zoya Dream is a gorgeous deep blue base, packed with a scattered holographic glitter. 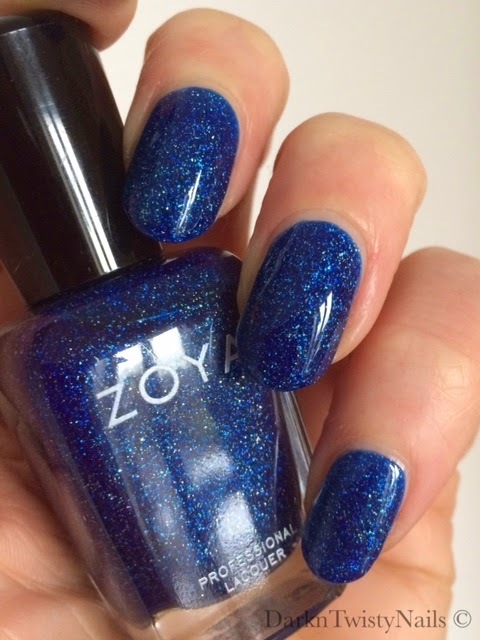 It was first released as part of the 2013 Zenith collection, but luckily it should still be available at the normal Zoya retail places. The formula is really nice, it flows on the nail without any problems, is opaque in 2 thin, easy coats and it dries fast and shiny. This polish stood in my stash for... oh, I don't know how long, but it must be close to a year now, without ever making it onto my nails. Shame on me... Just look at that color! Why I never painted it before, I'll never know, because it's just stunning! I love a blue nail and this is no exception. It looks very flattering with my skintone and the scattered holographic gives it a lot of depth and makes it sparkle on the nail. I absolutely love it! 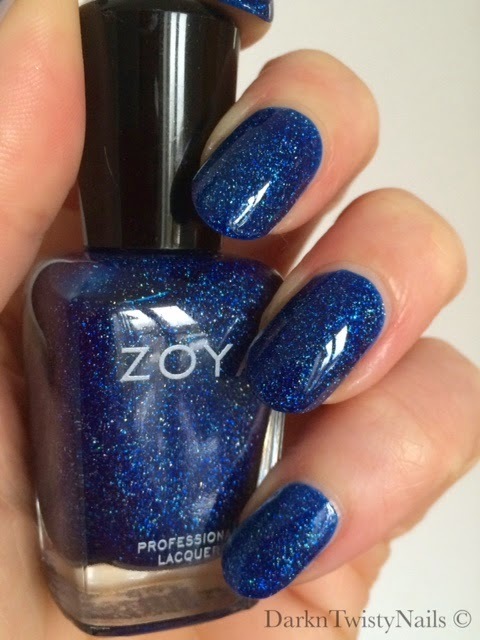 Do you have a lot of untried polishes or do you wear every single one of them straight away? Die glitter en glans... wauw! Prachtige lak! Je moet hem eigenlijk irl in het zonnetje zien, dan komt de holo glitter het allerbeste tot zijn recht! Perfect on you! I also have a backup of it. I found it last year on the clearance shelf at the Ulta near my daughter's home. Now I'm kicking myself for not getting two! I mean, I have 3 bottles of Pacific Blue by SH, why not round up another of Dream?! (palm of hand hits forehead)! 3 bottles of Dream does have a nice ring to it... I feel an order coming up... hahaha! WAUW, ik vind hem echt prachtig. Meestal zijn ze in het flesje prachtig maar op de nagels zijn de glitters wel snel verdwenen. Vind deze erg mooi op de nagels! Bij deze verdwijnen de glitters absoluut niet, ze zijn duidelijk aanwezig!